Jonathan Quick was the first goaltender off the ice, indicating him as the likely starter. 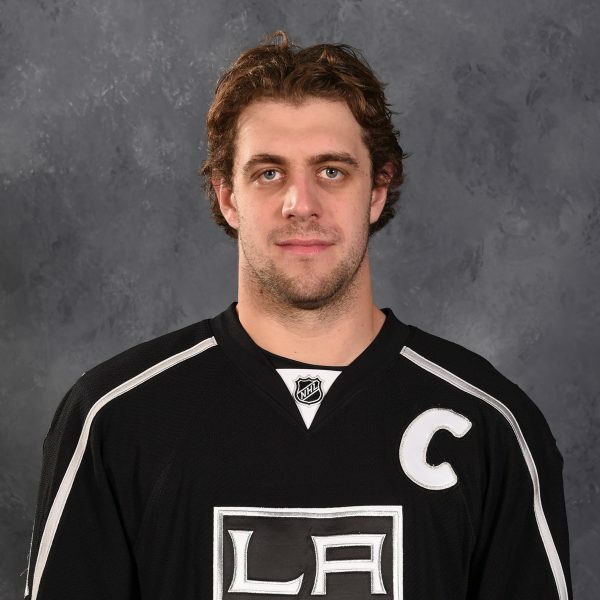 The main difference from Monday’s practice involved the coaching staff’s apparent decision to put forward Marian Gaborik on Adrian Kempe’s line and keep forward Jonny Brodzinski with Nick Shore and Andy Andreoff. Brodzinski practiced with Kempe on Monday. Shore’s line has picked up eight points in its last 2 games and has been a big catalyst for the Kings. “(Shore’s) line just clicked and played well together, so we can certainly look at keeping that together,” Coach John Stevens said. Forward Dustin Brown is suspended for this game because of a kneeing penalty on Tampa Bay Lightning defenseman Mikhail Sergachev that took place last Saturday. Forward Trevor Lewis is out after he slammed back and shoulder first into the boards after being hit by forward Jared McCann against the Florida Panthers last Friday. Carolina Hurricanes forward Justin Williams knows why it’s always a big deal when he plays the Kings, rather than any of his other former teams. This is because Los Angeles was where Williams furthered his legacy as “Mr. Game 7,” won a Conn Smythe Trophy on the team’s 2014 Stanley Cup run and endeared himself to the fanbase with his success on the ice and approachable nature off the ice. The Kings still remember Williams’ impact, even though he left via free agency to the Washington Capitals in the summer of 2015. Williams signed with Carolina, where he won the 2006 Stanley Cup, this past summer. He started his NHL career as a member of the Philadelphia Flyers. Williams played with the Kings from 2008-09 through 2014-15 and notched 266 points in 427 regular season games. The 36-year-old Williams has brought his winning swagger to the Hurricanes, a young team looking to break through. He has 34 points in 56 games played as he has helped Carolina recover from a tough start to get back into the playoff race. The Hurricanes enter Tuesday’s contest against the Kings in the last Wild Card spot in the Eastern Conference. – Forward Tyler Toffoli sported a small gash on his lip after taking a stick to the face in practice Monday. He said he felt OK and just needed a few stitches to close the wound. “Well, obviously it didn’t feel very good (at the time) but it’s fine now. It is what it is,” he said. Toffoli has been relatively snakebit for a while. He is in the midst of a 13-game goal scoring drought and has one assist over that stretch. The last several games he has had a bunch of chances, but hasn’t been able to convert. – The possibility of Gaborik being on Adrian Kempe’s line means the winger could find himself with more scoring opportunities. Gaborik has played in two games in the month of February and hasn’t scored in 11 games, his last tally coming on Dec. 30, 2017. In the Kings’ last game – at the Tampa Bay Lightning – he played 7:35, the lowest total of the season. “(Brown is) suspended and obviously hopefully (I can) get back into a groove and play better. Obviously I need to be productive and play all-around hockey and that’s what I want to do,” Gaborik said. 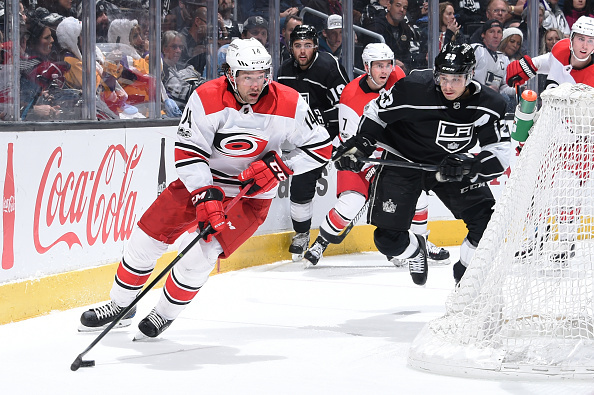 – The Kings’ three-day stay in Raleigh is their longest of the road-trip, and many players were able to get in some rest before they head off to Pittsburgh following tonight’s game. Los Angeles plays every other day until a back-to-back in Chicago and Winnipeg to end the trip.